Faith to most people is a nebulous, religious term when used in reference to God. However, when we use the term in reference to people we know (e.g. I have faith in this friend of mine) we have a much clearer grasp over what we mean by the term. We trust that person and we have confidence that they will do the right thing. When we replace the word faith with synonyms like trust, belief and confidence we can have a better idea of how the term applies when used in relation to God. 1. Believing (being fully persuaded) that God exists (and Jesus is our Saviour). 2. Believing (being fully persuaded) that His way of life is best so that WE choose to obey Him. 3. Believing (being fully persuaded) that God will do what HE says that He will do. 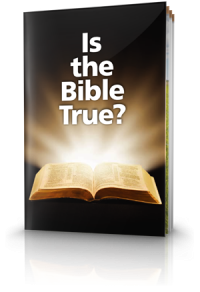 This belief is purely academic, intellectual agreement that God does indeed exist and that Jesus died for our sins. 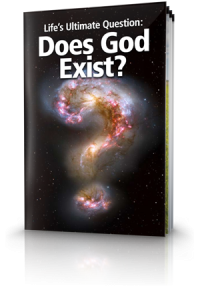 We live in a post-modern world and modern atheism with its constant pushing of the theory (NOT fact) of evolution is vigorously trying to deny God’s existence. If you have not proved this academically for yourself then I would encourage you to do so. Additionally, I can recommend two books (also available as DVD’s) by Lee Strobel entitled: “The Case for a Creator” and “The Case for Christ.” Lee Strobel is an investigative journalist who set out using journalistic procedures to prove to his wife (who accepted Christianity) that God didn’t exist. He was so overwhelmed by the evidence in support of both the existence of a Creator and the resurrection that he, too, accepted Christianity. Is this ALL that is required to be saved? Acts 2:38 says: “Repent, and let every one of you be baptized in the name of Jesus Christ for the remission of sins; and you shall receive the gift of the Holy Spirit.” Repent is an old English word that means “turn to the highest.” Is this just an academic acceptance or does this belief mean something deeper that has to be proven by our actions? Let’s explore that with the second aspect of faith in God. 2. Believing (being fully persuaded) that His way of life is the best way so that WE choose to obey Him. If God gives us laws and a way of life and we refuse to live by those laws what does this say about how much we believe in His Law? Doesn’t it say that we are NOT convinced that His law and what He tells us to do is the best way? Doesn’t it say we think our way is better than His ways? Now most of us don’t outright reject and disobey ALL of God’s laws. What we do tend to do though is to pick and choose what laws of God we want to obey, and reject and disobey those laws we don’t like. With those areas we disobey we are more convinced OUR way is better than what God tells us to do. James, the author of the epistle by the same name, was a real sharp shooter. In James 2:10 he blasts this idea of cafeteria christianity where you can pick and choose what you want to obey and deliberately reject what you don't like by saying: "For whoever shall keep the whole Law and yet offend in one point, he is guilty of all." A few verses later he wrote: "You believe that there is one God, you do well; even the demons believe and tremble. But will you know, O vain man, that faith without works is dead? Was not Abraham our father justified by works when he had offered Isaac his son upon the altar? 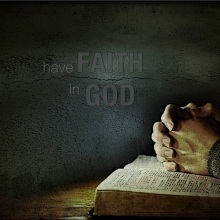 Do you see how faith worked with his works, and from the works faith was made complete?” (James 2:19-22). The demons know God exists and know for a fact that Jesus died for humanity’s sins and rose again yet that academic belief doesn’t save them. If you believe God and are fully persuaded His laws are best you will prove it by doing your best to obey His laws with the help and power of God. What you do PROVES how much you believe God’s laws are best deep down in your heart. This is something for us to think about when if we struggle with besetting sins or addictions. In those moments of temptations, whether it is struggling with the temptation to lie or look lustfully or whatever, do we believe -- are we FULLY persuaded -- that God’s way is the BEST way? What are your choices saying about what you REALLY believe? Faith is a choice that we can make but it is also a fruit of God’s spirit (Galatians 5:22). In those moments of temptation we need to feed our minds with the right things that will help us to be more persuaded God’s way is best and pray that God will help strengthen our depth of conviction that His way is better than the short term pleasures of sins (Heb. 11:25). This third aspect of faith comes into play when we are praying about things. God is love (1 John 4:16) and has our best interests at heart. God promises healing (James 5:14-15) and many other things. God says He cannot lie (Titus 1:2) yet we can struggle with doubts about His honesty and His love and concern for us when He delays or doesn’t answer our prayers. There are many factors as to why God does and doesn’t answer prayers the way we want them to be answered and we have to pray according to His will (1 John 5:14) rather than treating God like a genie in a bottle doing our bidding. God is intensely interested in us and building His character in us and this character building process explains many times when prayers are delayed or answered differently to the way that we want. Satan wants us to give ourselves over to our doubts and let our worries and fears control our actions in a hurtful way. Whether it’s financial worries or worrying about finding that special someone in life, fear and insecurity can make us do crazy things that hurt us and hurt other people. God loves us and really does have our best interests at heart. How much we worry versus how much we relax and trust Him with those things over which we have no control shows how persuaded we are that God will do what He says that He will do. How much do we REALLY believe in God? Enough to obey Him and all His laws? Enough to trust in His intervention and help no matter what the external circumstances are like? The amount we obey Him and the amount that we worry provide a window into our own souls of how much faith we REALLY have in God.